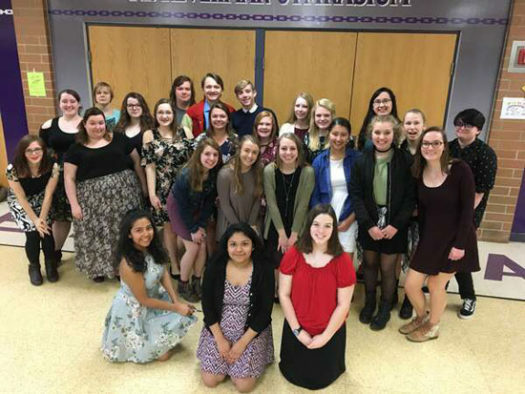 On February 4, the Shawano High Forensics Club will be beginning their season in a string of competitions in which they must perform and speak in front of peers from other schools across Wisconsin. Since November, they have been preparing selections from categories ranging from Interpretation of Poetry to Impromptu Speech. Mr. Nathan Falk, the Forensics coordinator, is excited to be leading Forensics for his fifth year. As a former member, it has been exciting for him to coach younger generations toward lettering and earning pins. “This position involves promoting the team to prospective students, and working to spark interest in advancing the art of public speaking,” Mr. Falk explained. In order to advance in the competition, students have to obtain a certain score, so Mr. Falk and many other staff in the English department are open for coaching opportunities with individuals and teams in order to achieve the maximum amount of points. “Students are encouraged to meet with coaches weekly to improve their skills and receive feedback. Some aren’t able to meet much in January during musical rehearsals, so they usually work more on their own as the season begins,” Mr. Falk supplied. He also makes it a priority to match students with the perfect category for them. Something that fits their personality, while still pushing them to work on a new strength each competition. These could be anything from vocal inflection to emotional delivery. “Everyone on the team will practice and perform some form of public speaking or acting for a judge and a small group of peers. The judge will provide you with feedback and critiques as well as a point value score of your performance, so I really want them to work on what suits them best,” Mr. Falk explained. Senior Rosa Oviedo, classified as a Senior Leader of Forensics along with two other members, has tried multiple categories throughout her years in Forensics and found Play Acting to be her perfect fit. 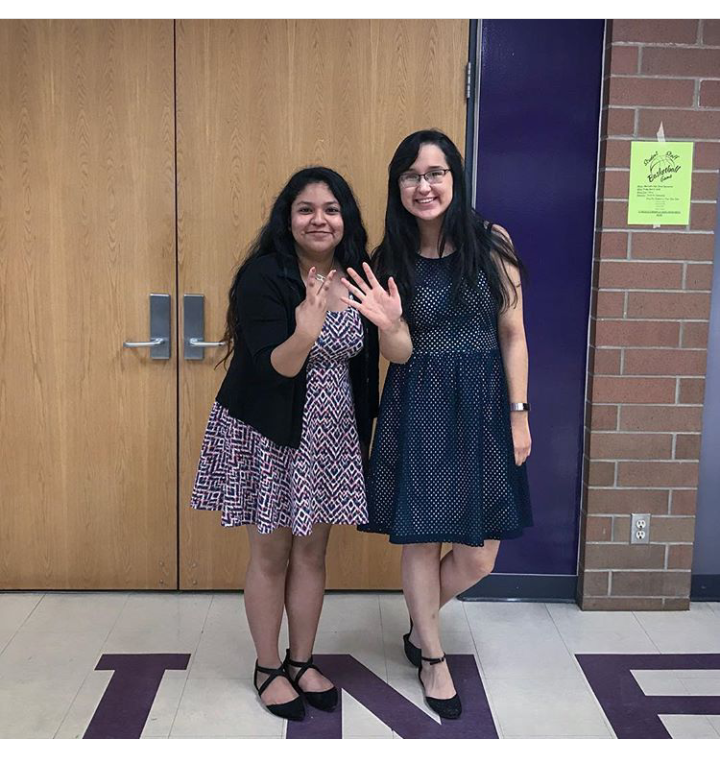 “Last year my partner and I chose Group Interp, but we basically memorized our scene completely, so this year I wanted to do Play Acting so I wouldn’t get points taken off at State. In Play Acting you are required to memorize, so that seemed to be the best choice,” Oviedo said. Oviedo was also glad to have found Forensics as a way to boost her use of language and confidence in the classroom. “I wanted to join because my sister was in it, but then as I started to practice more I noticed that it really helped me in English and Speech classes. I got really good at things like volume and eye contact,” Oviedo explained. One of her favorite things about Forensics, however, is having the final product come together after so much rehearsing and judicial critique. “Having your piece get scored a 25, the highest score, is really fulfilling and exciting. It makes all of the practice completely worth it,” Oviedo said. Bailey Harkey, a junior who has been in Forensics since middle school, also mentioned how rewarding the competition performances can be. “It is a lot of hard work, but I think in the end it’s worth it because I’m showing people a skill that a lot of people are really scared to do, which is public speaking. So many people hate doing it, but people who are in this club and go on to compete show that this is something they like doing and aren’t that afraid of,” Harkey noted. Harkey explained that public speaking has always been something that has brought her joy, and it has pushed her to try new pieces. It has even led her to some first place titles in the past in her category, Interpretation of Poetry. “This year I am doing the poem “FAT” by Maddie Dragsbaek. It’s kind of a poem on how she progresses in learning to deal with her own insecurities, and I felt like I could relate to that a lot. I’m going to be doing it at each competition, and hopefully at state,” Harkey said. Both participants will continue practicing with each competition in mind, and hope to achieve great things this competition season.